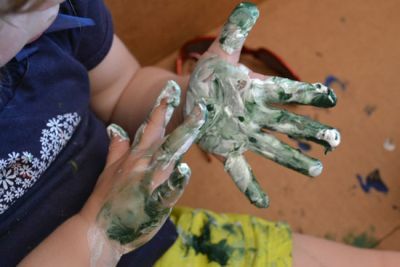 If your child is anything like mine – you could spend a fortune on the best toys out there, yet the simple, usually free and recycled activities, are enjoyed much more! 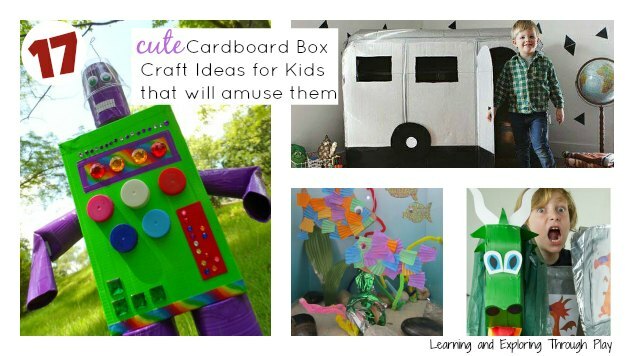 Here are 17 Cute Cardboard Box Craft Ideas for Kids, that will definitely amuse them and help pass some time. 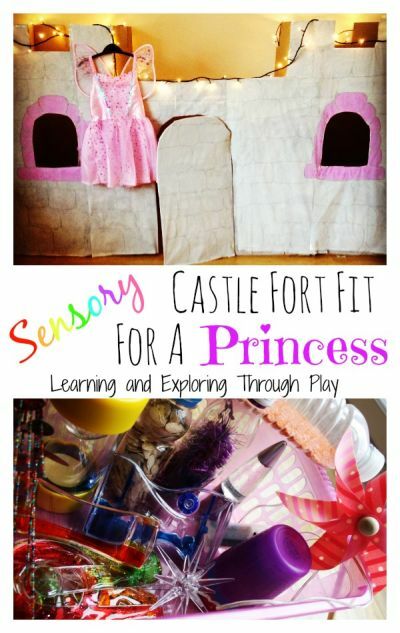 We set about creating a big sensory castle for Little N, over at Learning & Exploring Through Play. She helped all the way and really enjoyed painting it. She enjoyed putting her Princess dress on and going in and out of the different rooms we create. Children love dens so this was perfect for that! We added a basket full of sensory items to explore too! 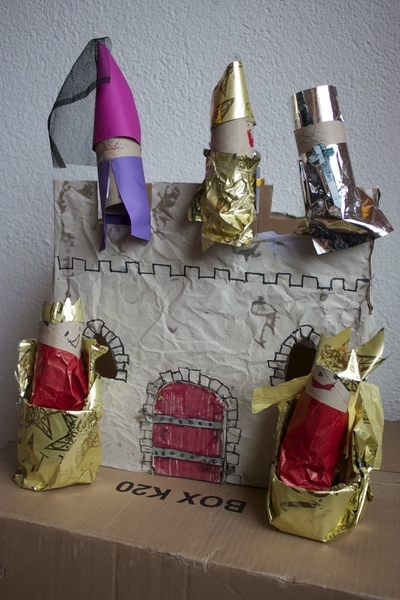 We also love this Fairy Tale Castle creation by Our Little House in the Country. And in 5..4..3..2..1.. we have BLAST OFF! 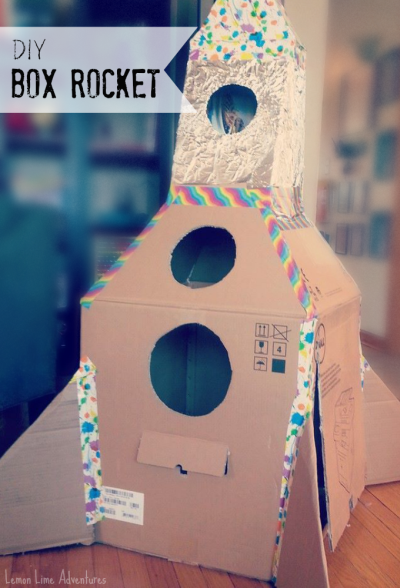 Have a child who is intrigued with space? Make them their very own rocket ship, like this one from Lemon Lime Adventures! If you like this idea here is another one for some more inspiration, by Amy Pessolano. 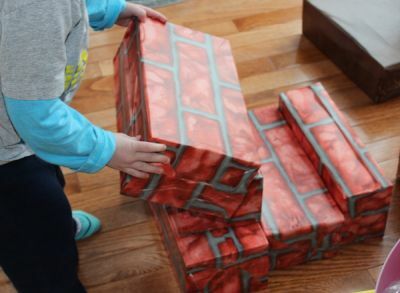 We used to use large plastic building bricks when I worked in Nursery. They were very popular and there wasn’t many days where they wasn’t played with outdoors. Although they are great, they are very pricey too so why not look at creating your very own, like Sunny Day Family? 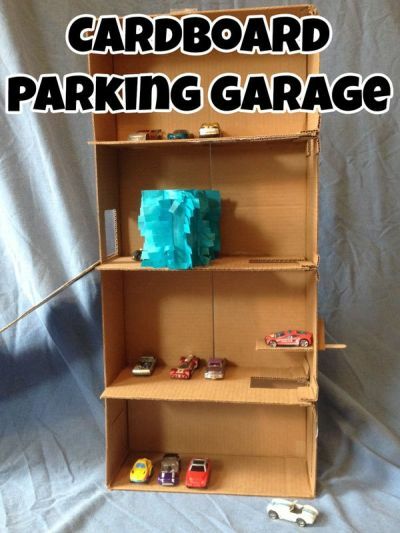 This really is a must for all children to create at some point in their childhood – we like this idea from Encourage Play! Not only can you enjoy creating this together, you can go on to entertain one another with your very own shows. For some extra fun, add technology in with it, and take some photos and videos of the shows you make. It can be personalised how you wish. When you have finished you can throw it in the recycle bin and create another one at a later date if you wish. Simple. Free. Fun. This great idea by Inspiration Laboratories is put together in a matter of seconds and da daaa you have a fun set-up that will entertain your children for hours! Hosting a play date? – Sorted! 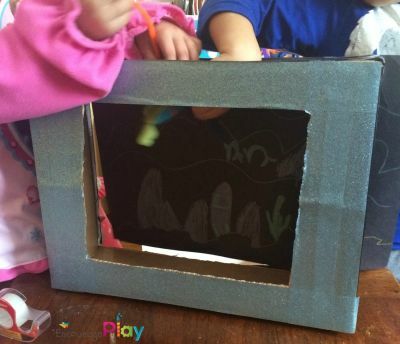 If you would prefer to create something a little smaller than the one we previously shared, you could always create a table-top cardboard castle for some small world play instead. This is a super cute idea from Snotty Noses and doesn’t take up too much room. Great to use indoor or outdoor! 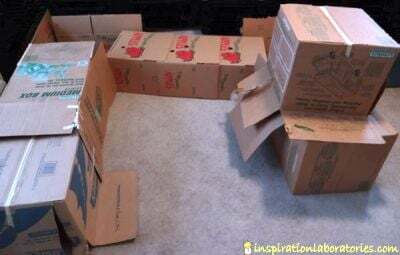 Why not use your boxes as a canvas for creating, like Simple Fun for Kids? Whether you choose to offer an option to paint, or draw with crayons and felts, this will be a hit with children, of all ages!